A desk is a utilitarian piece of furniture where work is accomplished and as such needs to facilitate that work efficiently as possible. 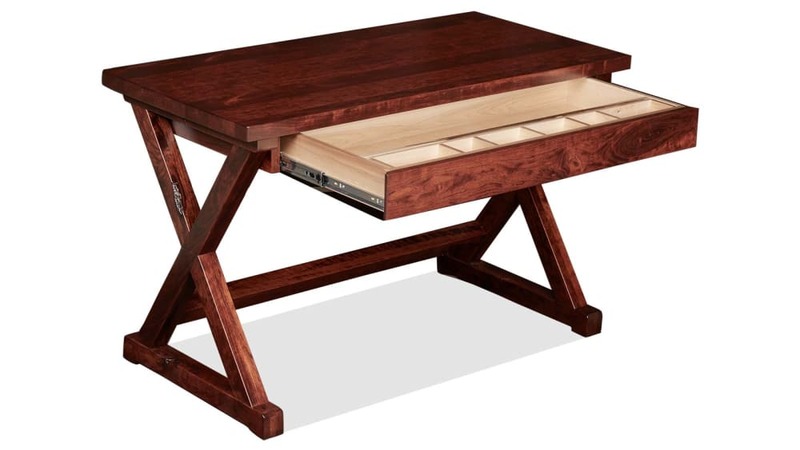 A desk though can be more than practical, it can be beautiful adding elegance, style and enduring charm to your home. 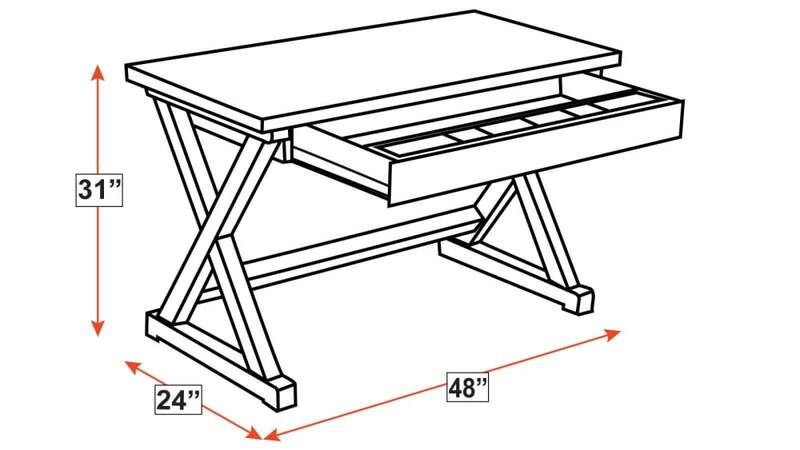 When solid wood furniture is created by American craftsmen it is not something to be shoved in a box and sold, there is something intangible imbued into the wood, from the knowing hands of the artisan taking raw lumber and transforming it into something that is as much art as it is furniture. 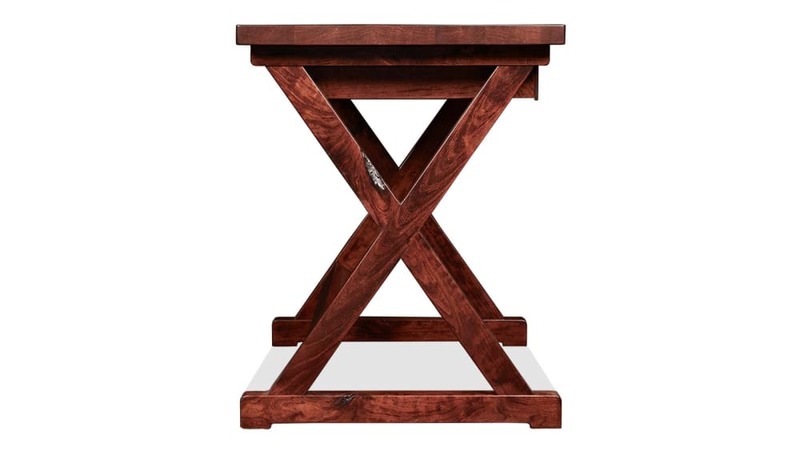 This solid rustic cherry wood writing desk is Made in America by Master American Craftsmen. 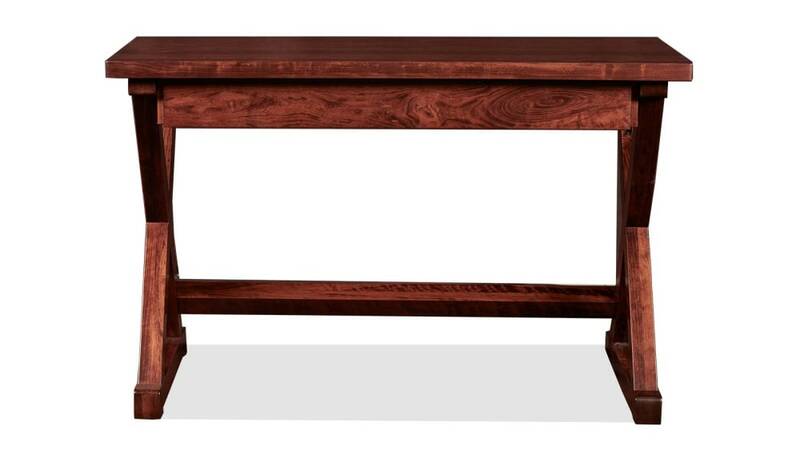 The Burnt Umber Stain showcases the natural beauty of the solid maple wood grain to perfection. Nothing is more frustrating than needing new furniture and being told you have to wait. At Gallery Furniture, you get your furniture the same day you buy it, delivered by a team of professionals who will carefully bring it into your home and assemble it. 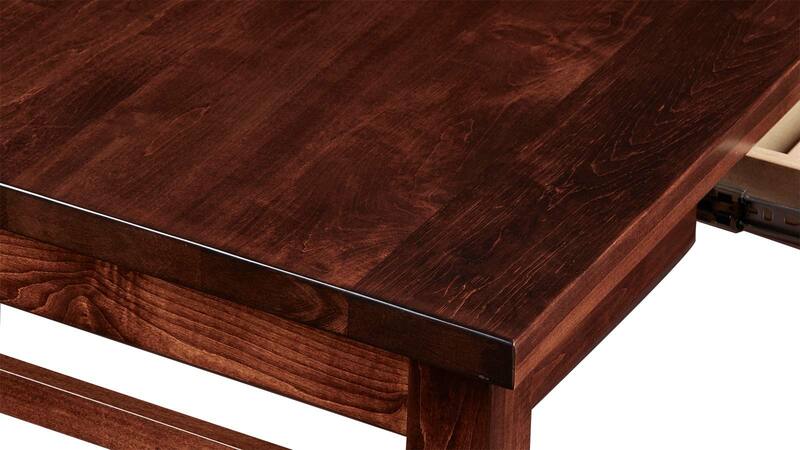 Start enjoying the convenience, quality and beauty of your American made solid wood furniture tonight.